2016 featured the largest site area ever, cementing Henty Machinery Field Days as the single biggest outdoor and agriculture event in Australia. A 55,000 strong crowd over the the three days were welcomed through the gates to inspect the “agribusiness supermarket’’, showcased by 868 exhibitors on the biggest site area in the event’s history. Boneseed season! Be on the lookout…. 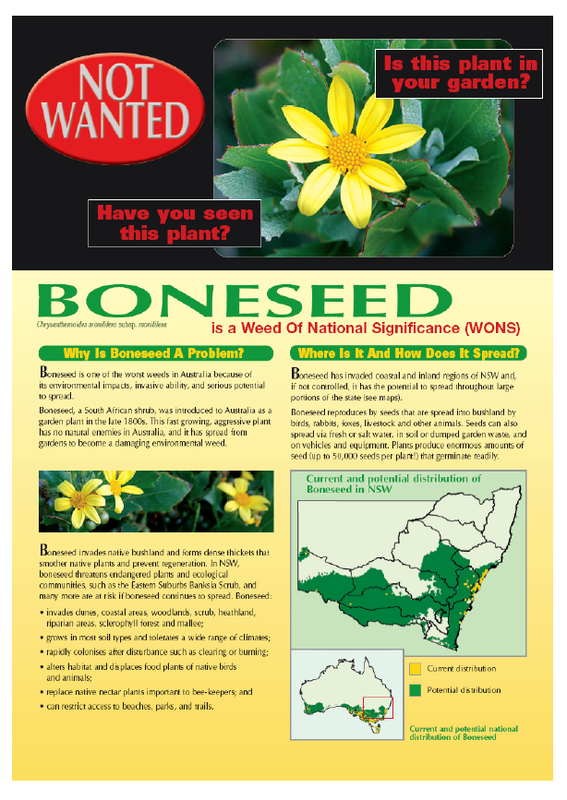 Boneseed is one of the worst weeds in Australia because of its environmental impacts, invasive ability and serious potential to spread. Be on the lookout for this weed on your area! 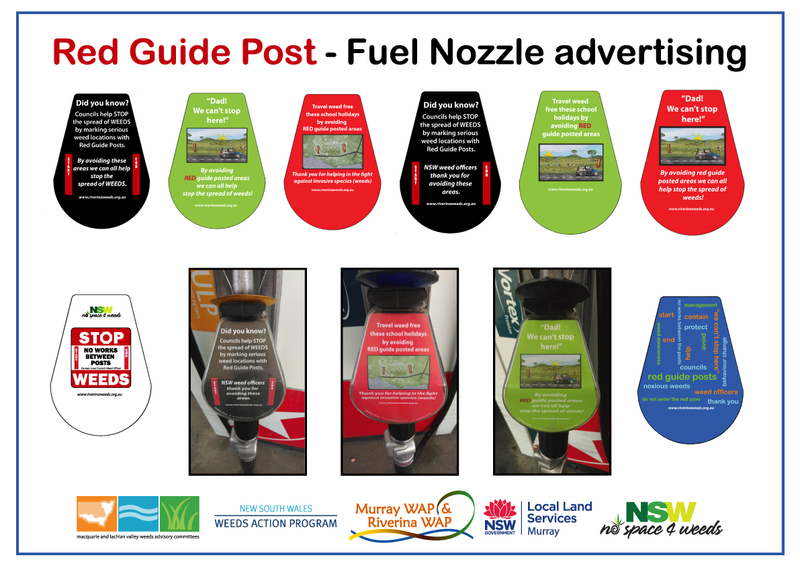 We have some very exciting news – the Red Guide Post initiative has been incorporated into the latest Edition of Camper Trailer Australia (Issue 105) and also features in an online Webvid. 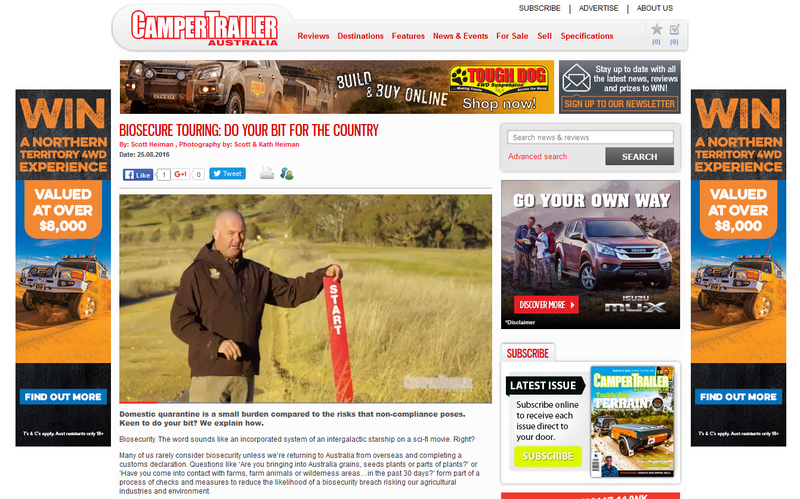 Biosecure Touring – do your bit for the country! 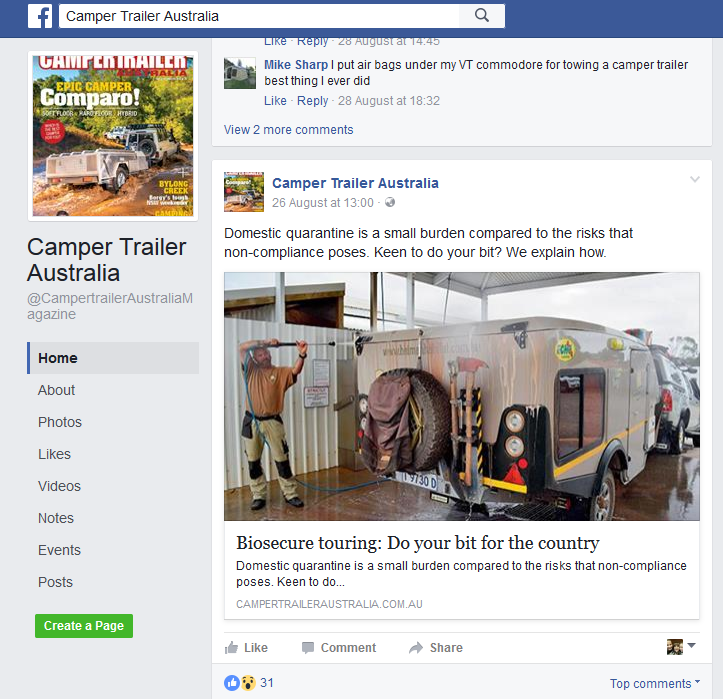 It’s also featured on Camper Trailer Australia’s Facebook page. 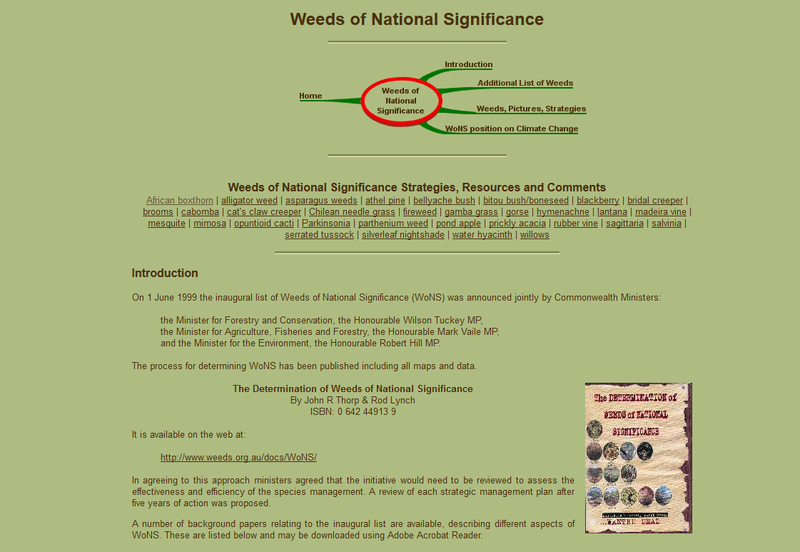 Did you know that the Weeds of National Significance (WoNS) webpages, now reside on the Atlas of Living Australia (ALA). 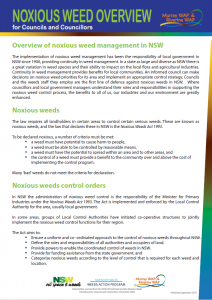 Please bookmark this page and continue to use these resources to assist your weed management efforts! Thank you for your input regarding weed species that are of significance within your LLS region. 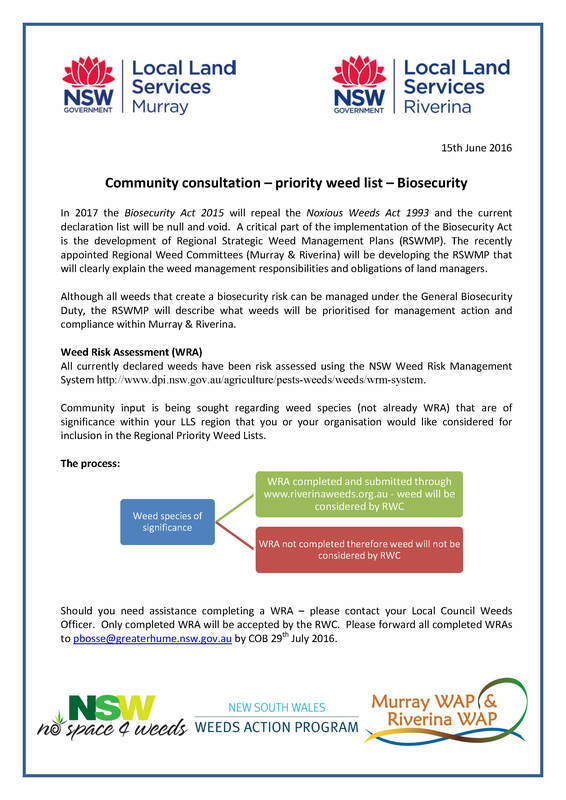 All Weed Risk Assessments received will be considered by the Regional Weed Committees when developing the Regional Strategic Weed Management Plans. 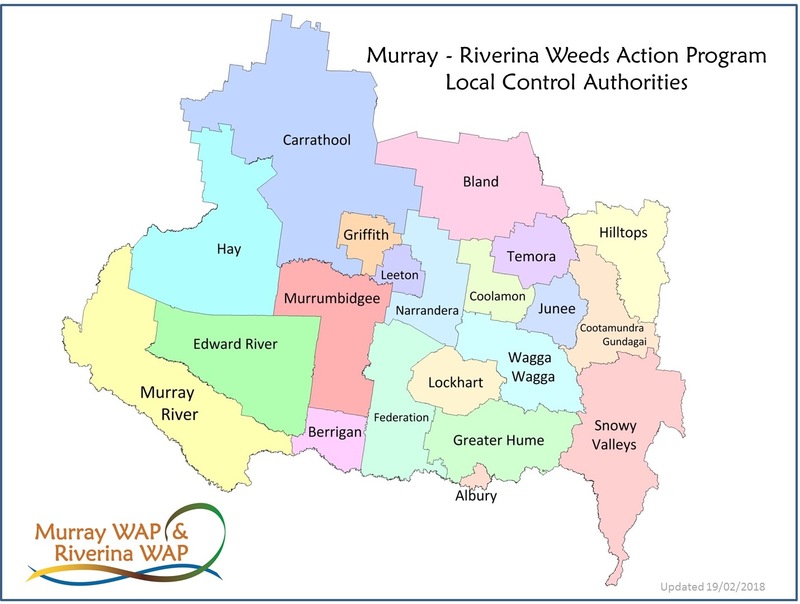 For further information regarding the future weed listings and upcoming changes to weed management click here for the Riverina RWC and here for Murray RWC. This years Riverina Field Days held on the 13th & 14th of May would have to be the best Field Days held in Griffith since its inception. The weather was fine and the public turnout was far above expectations. A ute load of Water hyacinth (Eichhornia crassipes) has been removed from a residential property in Albury after tip offs from colleagues in WA & Victoria that plants were being sold on Gumtree. Great work and thank you to all those involved in the rapid response and disposal of this notifiable weed. Jan Mitchell (Vegetation Management Officer) can be contacted on 0429 032 079 for further information.